John David Washington stars as Ron Stallworth in Spike Lee's BlacKkKlansman. It sounds incredible, but the story is based on the account of a real person. The film draws heavily from the 2014 book Black Klansman by the real-life detective, Ron Stallworth. 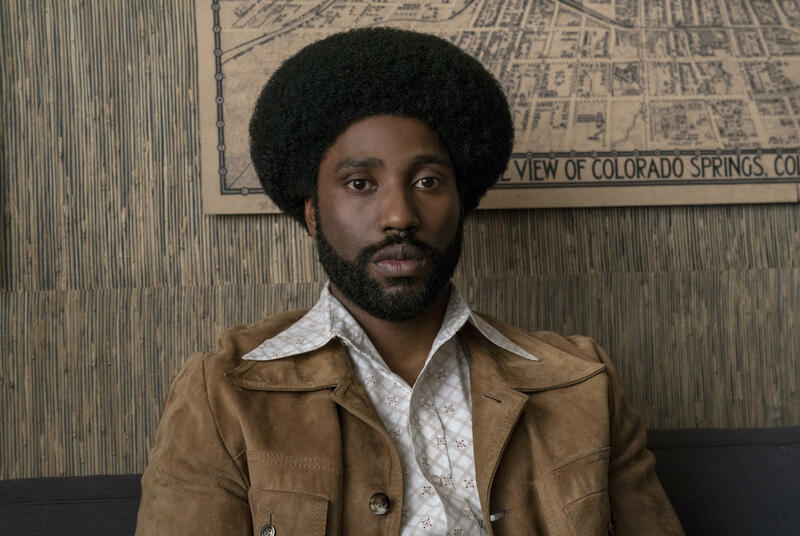 In BlacKkKlansman, the role of Stallworth is played by John David Washington. "Of course, I thought it was crazy and I wasn't sure if it was true," Washington says in an interview with NPR's Michel Martin for All Things Considered. "It sounded like a familiar skit of Dave Chappelle, that he did years ago. Until I did the research, I wasn't really sure of how true it was. And then when I did the research, I was just so astonished." It's interesting. Spike [Lee] kept me from him for months leading up to the first day of shooting. I feel like he did that on purpose, but once I got to meet him at the table read — it's crazy — he passed around his membership card. The actual Ku Klux Klan clan membership card, he is a member of the Ku Klux Klan! He passed it around for us at the table read and it was a trip. For some reason, holding that card made all the stories and the research seem more real than ever. He was very helpful and he was able to share with me, not just his approach tactically to the investigation and the sting operation, but what he was going through in those times — what it meant to be a black man in the '70s in Colorado Springs. So all those kinds of things gave me insight and helped me carve out the performance. He was a man of his mission. He totally believed in what he was doing. He couldn't get too emotional and stay in character to pursue this man and take down this organization of hate. He was also very thankful and acknowledged the people that were white in his department that helped him, that believed in him. He wasn't by himself on this. He was supported and it took that kind of support to make this mission a successful one. In the initial phone call to the Klan, he incorporates everybody that he hates. Unless you're not pure white Aryan blood running through the veins everybody can get it, everybody is hated, everybody is inferior. I thought it was important to have all of that in there, and it was a good learning experience for me. If people are sometimes torn between being Jewish and trying to fit in, we have a lot in common in that way. That divide is generational and it's continuous. But I was ignorant to it as well, until I did my research and got to spend some time with police officers, and got to spend time with Ron Stallworth specifically, and realized it's a really a thankless job. There's men and women out there protecting and serving, doing it the right way, that aren't talked about. People in their department do their job the wrong way, it's going to get out there. It's going viral now. I love what he says — I don't want to give the movie away — but he addresses that specifically to the love interest, and says that there can be change from the inside. And I believe that's true. The men and women serving and protecting, doing it the right way, I want them to be proud of this when they see it. I want them to stand up and give themselves a pat on the back — the ones that are doing it the right way, that is. And maybe now we can start, instead of generalizing our frustrations about the misconduct, maybe start recognizing the ones that are, and highlighting them just as much as we're highlighting the negative parts of how police are doing the job. I hope that's what this film can bring. The audio story was produced and edited by Dustin DeSoto and Janaya Williams.